Food and nutrition brands are marketing to one of the most sophisticated consumer audiences around when they list their ingredients - so there's no room for error. 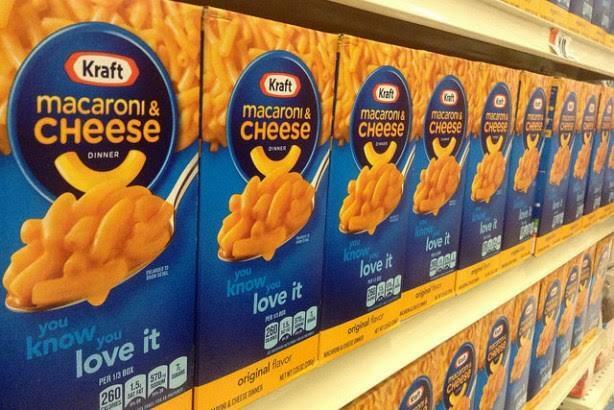 Last week, Kraft revealed it had quietly removed artificial flavors, preservatives, and dyes from its Mac & Cheese dinners three months earlier. It was a bold move on one of its signature brands. In addition to potentially altering the look and taste, removing ingredients such as preservatives reduces shelf life. Kraft has publicly stated that consumers had asked for a healthier version of Mac & Cheese. However, food and nutrition PR pros doubt food dye and preservatives were stopping its core customers from purchasing it. Still, they say manufacturers know from internal and external studies that shoppers, in particular millennials, are increasingly scrutinizing food labels, looking for "lean" and "clean" ingredient lists. A survey from Hunter PR found consumers ranked the phasing out of artificial ingredients as the fifth-most-important food story of last year. "Consumers see it as a big story, and that is why food companies are doing it and getting good consumer buzz from those announcements," says Grace Leong, managing partner at Hunter PR. She adds that manufacturers aren’t just feeling the pressure from consumers, but also from large grocery chains, which face increasing competition from natural foods stores such as Whole Foods, and newly emerging grocery banners. "Grocers are looking for what is new, and clean labels are the hottest thing," says Leong. "They are saying, ‘Give me a clean label or I am not putting it in the store.’"
She suspects that’s why major brands have been tinkering with their recipes, rather than launching a comms defensive, justifying why some strange and even toxic-sounding ingredients are needed to give the product a longer shelf life or a certain attribute. She notes, for instance, that the Food and Drug Administration requires baking powder to be listed as sodium bicarbonate, its chemical name. "There has never been a company that has gone out and said, ‘The reason we put sodium bicarbonate in the ingredient list is to make the cake mix rise.’ The problem is that the FDA has certain ways that ingredients as harmless as baking power be listed that really junks up the label," says Leong. "I don’t think food companies have done a good enough job of proactively explaining why some of these ingredients need to be in the food for conveniences customers have come to expect." In other words, she explains that developing food and describing the ingredients of it is a complicated process. "That would be a really hard communications task for one company to take without the industry doing in parallel," Leong notes. "It also takes longer to explain why food can’t just be four or five ingredients in a box, because that would present problems in the preparation and making sure it is safe and ready to go when consumers use it." Instead, food industry PR pros note that manufacturers spend a lot of time and money figuring out how to process their core brands using fewer ingredients, natural replacements for colors and preservatives, and less chemical manipulation. Kraft, for instance, says its reformulation of Mac & Cheese was three years in the making. Brands are figuring out how to best talk about their ingredients, from their health benefits to the sourcing. When it comes to sharing nutrition and ingredient information, FoodMinds partner and co-founder Sue Pitman notes that "the brand website is the central communications platform, in keeping with the trend across categories where brands are becoming content providers and publishers." "Partnerships with properties such as [cooking site] Food52 that have strong fan bases are also a great investment," she says. "What’s important to remember with this sophisticated consumer segment is that, yes, they want to hear the brand’s responses and point of view directly, but they also expect the information to be validated and verified by a third party." Kraft is conducting an integrated campaign for its new Mac & Cheese recipe with TV, print, digital, social, and PR elements. The brand’s website includes a "timeline of cheesy events," behind-the-scenes video, and FAQs about the changes. Yet Kraft decided to withhold the campaign until many of its core customers had unknowingly tried the new recipe. Comms experts say it was a smart play for a brand that became popular in the first place on its taste, look, shelf life, and low price. "This is the latest example of an approach to reformulation that’s often referred to as ‘stealth health’ in the food industry," explains Pitman. "There’s been a lot of research showing consumers might not try a new version of a food they normally buy if they perceive the taste will be different. Putting ‘low sodium’ on the front of the package is a good example of that. Food companies have learned to make changes to their recipes gradually, and to roll out the changes to the public gradually." Michael DeAngelis, nutrition director at Porter Novelli, says brands also must be certain they’ve done their due diligence on any claims, particularly in terms of food safety. "Transparency isn’t a good approach if you don’t have all of the facts buttoned up and the potential backlash considered," he says. "This is where a good issues management plan becomes essential. For example, disclosing a source country can be an issue if a brand can’t assure that there is a quality assurance procedure to protect against adulteration or contamination." Therefore, it’s of paramount importance that brands do as much research as possible. "The deeper you go, the more you need to be prepared," advises DeAngelis. "Without doing the homework, any transparency story – supply chain, ingredients, safety, or quality – can backfire. If there are gaps in your understanding, it leaves you vulnerable to questions and concerns that you can’t answer." Jaime Schwartz, VP of nutrition strategy and health influencer communications at Ketchum, adds that food companies have to explain their nutrition and ingredient story as authentically and with as little marketing lingo as possible. "Consumers don’t want catchy words or phrases to explain information about food – they perceive this as the company hiding something even when they are not," she says. "Consumers want access to deeper information they can choose to study – and even if they don’t, they feel better knowing that the information is available to them."